The Teen Economists: From Pottery Shards To Phone Votes: Where Does The UK Fit In? From Pottery Shards To Phone Votes: Where Does The UK Fit In? I like to think many people who live and work in the UK are very proud of the democracy we share in this country. Every five years we all get to vote and choose a party which will go on to represent us and make the decisions on behalf of the population. 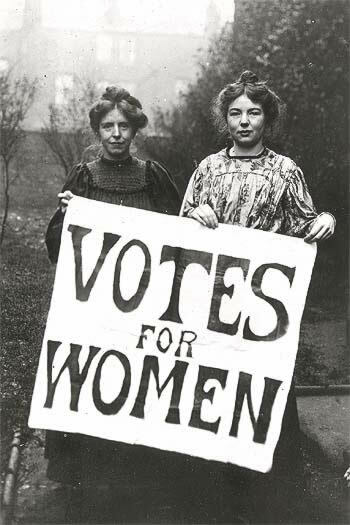 Many have striven and many have died for this right to everybody getting a free and secret vote, with first the push to get all classes an equal vote and then the protests and hunger strikes of Votes for Women. It’s been a pretty rough ride getting to where we are now, and I would say it has been worth it, for there is certainly more equality in the way the government is run now than ever before. But is it still truly a democracy? First I thought I’d look back to the original democracy of the ancient Athenians. Though women weren’t allowed to participate, it was the first example of a people’s parliament. In fact in Greek δημοκρατία (dēmokratía), meaning democracy literally translates as “rule of the people”. In the ancient Greek state of Athens people voted other, ordinary, people into power using shards of poetry as ballots. Those people would move on to the government offices and courts; however all citizens were allowed to speak and cast their vote in assembly, which is where the laws of the state were developed. Of course a citizen did have to fit certain regulations (they had to be Athens-born men above the age of 20 and slaves were not allowed) but this system was radically democratic, with everyone getting a say on which laws were passed. Now we like to believe that our modern ideas have led to even greater advances in the running of first-world countries (which are nearly all democracies). 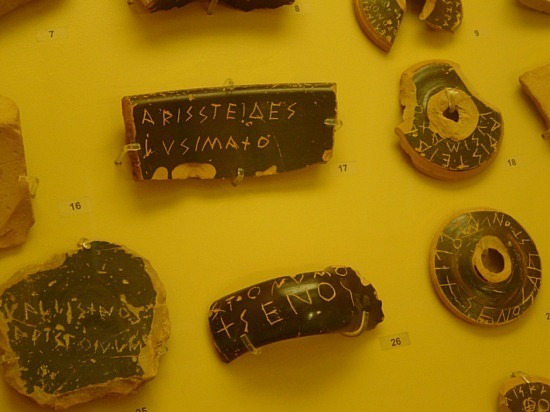 The idea of everyone voting for their chosen party may be considered a lot simpler than the large gatherings and pottery slate voting system of the ancient Greeks. But in making something modern have we lost what we had in the first place? A lot of modern politics relies on parties trying to please the masses. The Conservatives have to be seen to help the lower classes so as not to appear too elitist; and the Labour Party can’t be too bound to those of lower wages as this would not appeal to those of higher wages. With every party trying their best to be the amazing cover-all solution to everything surely what we’re left with is a lot of political parties so focused on solving the problems of everyone that they will never really make anyone happy. Aristotle is believed to have said that true democracy is everyone coming together by the ringing of a single bell in the case of an emergency. Our democracy seems to consist of everyone in power texting each other by the sounding of a single tweet. Yet in a way there are many ways in which our democracy remains faithful to the old-school ways of Athens. We vote - much like the Greeks did on pottery shards - for our MPs who then go on to speak on our behalf in Parliament. This is, in a way, extremely similar to how it happened in ancient Greece, especially considering how much other aspects, such as technology, have changed since. The only aspect which has been radically changed is that we no longer have assemblies of all citizens to decide on our laws. In addition to this, our government is no longer the top in terms of power: we now have to answer to other laws laid down by the European Union. These laws, though we abide by them, are not chosen by us; we don’t pick the leaders, movers and shakers in the EU and yet we must still go by the laws they set down. Is this a democracy? Back home in elections we vote for who we think could best match our interests, but does this mean we truly all get a fair say? Since the times of the original Athenian democracy a lot more than the political system has changed. 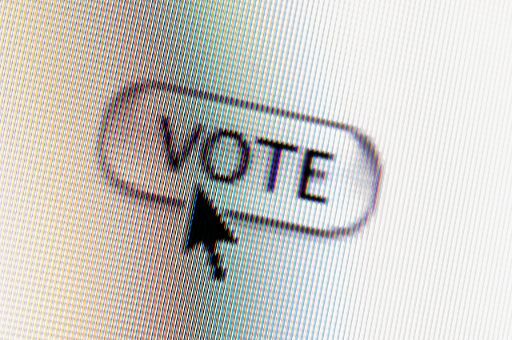 Democracy is not just found in an election every five years, but in the choosing of the name of the cat on Blue Peter, or who gets to win the X-Factor; democracy is everywhere, always made easier by online votes and phone voting. So now we have much more democracy than the Athenians (though I’m sure it’s a highly contentious issue whether or not there was an ancient Greek equivalent of X-Factor). However, it now seems the only field where the level of democracy could be raised is in politics, which is kind of (understatement!) an important one. But can any of us really imagine a Britain’s Got Politics style election where phone votes are the way to go? 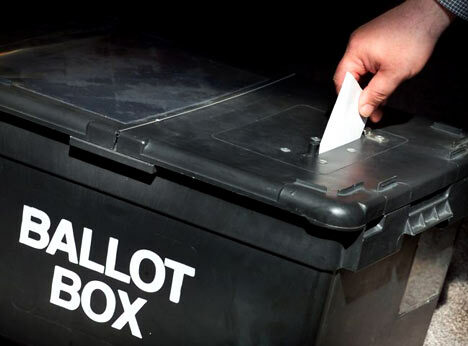 Maybe I’m being sentimental but there is something very traditional and exciting about the old ways of going down to the polling station and putting that secretive X in the box that contains your preference for who you think gets to run the country. Or maybe it would be better to have a phone or online vote: as someone who has never had the chance to vote, it all seems a lot more exciting than the reality for many voters. So does that make it worthwhile, or by trying to be close to the old Athenian tradition would we move even further away? All our diverse communities cannot be summoned by a single bell, not in Britain, let alone the wider EU. So would it be a move closer to radical democracy, or a trivialisation of serious issues, if we could cast our votes, not with a pottery shard, but with a click of a mouse? What Do Bank Holidays Mean For The Economy? Sweatshops: a Curse or a Boon? How Does The Weather Affect The Economy?